This article by Rebecca Hoeffner about the ordination to the episcopacy of Joseph Strickland for service as the bishop of the Diocese of Tyler, Texas, is a terrific testimony to grace at work. The whole article is worth reading for the last sentence. The whole of the ecclesiology is summed up in that one sentence, with that one word… You can follow Bishop Strickland on his blog, FatherRunFather. Blessings on Bishop Joseph Strickland. 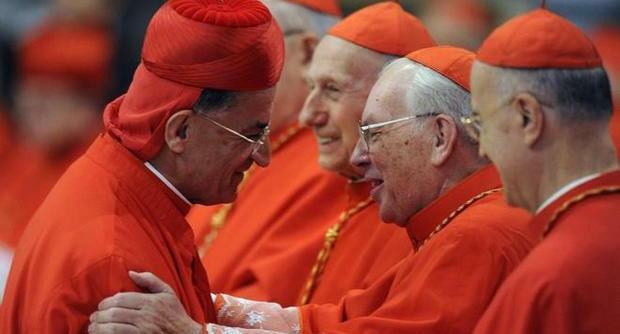 As the world knows, the Holy Father created 6 new cardinals. These 6 new Princes of the Church represent the diversity of the “one, holy, catholic and apostolic Church.” Their presence in the College of Cardinals reflect Incarnation of Jesus Christ in the life of the local Church, and at the heart of the Church, Rome. They now begin a new dimension of ecclesial service, a new way of being a disciple of Christ, and they offer their full humanity to making Christ known and loved. The Pope’s homily is below. adopted: today I shall limit myself to one or two thoughts. 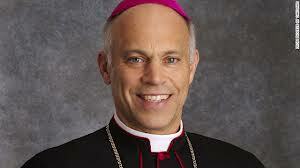 You know Salvatore Cordileone’s name –he’s the new archbishop of San Francsico. A high profile appointment made several weeks ago by Pope Benedict XVI. He was arrested for a DUI charge on August 25. He’s admitted wrong-doing, spent 11 hours in jail, paid the bail and is due in court on October 9, just 5 days following his scheduled installation in SF. He made a serious error in judgement. His Excellency needs to attend not only to his public persona but also to his spiritual life to make sure he’s not abusing alcohol, his authority and power. No doubt he’s brought on the Church and his person unwanted attention for such a matter as DUI where he could have injured or killed others. BUT this act in no way defines the man –it opens a new door for his conversion, that of others. The test of his acceptance of this grace will depend on him. By all reports Archbishop-designate Salvatore has cooperated with civil authorities. The Christian community prays for Archbishop Cordileone. We pray for his recovery and for his witness. 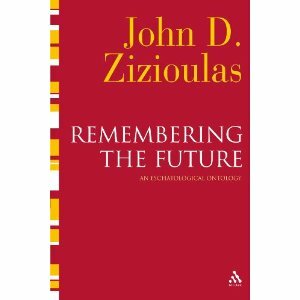 A new book is available from the eminent theologian and bishop, John Zizioulas, Remembering the Future: An Eschatological Ontology (T&T Clark International, Continuum, 2013). 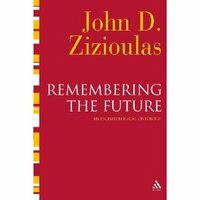 I very much enjoy the thinking and the challenge of Zizioulas. points out some of its ethical implications. communion theology, one and the many, and the contours of Christian unity. Constantinople. Since 1986 John Zizioulas has been a bishop. We inundate Him with problems, with demands for information, for clues, for an easier path, forgetting that in his Word he has given us the solution to every problem and all the details we are capable of grasping in this life.